Soil-like waste products such as construction and demolition debris fines, street sweepings and catch basin sediments often contain elevated concentrations of polycyclic aromatic hydrocarbons (PAHs) resulting from anthropogenic activities. Previous research suggested that small pieces of asphalt may contribute to PAHs in these wastes. The objective of this research was to investigate this idea by analyzing total PAHs concentrations in various asphalt products to assess their contribution to PAHs in these wastes. Five types of asphalt products (new and used asphalt shingles, new asphalt pavement, reclaimed asphalt pavement [RAP], and bitumen) were selected. PAHs concentrations were relatively low in most of the asphalt products except for RAP. The benzo[a]pyrene-equivalent (BaP-equivalent) concentrations in two RAP samples exceeded both Florida and EPA risk thresholds. PAHs bioaccessibility tests were conducted using a mild solvent extraction method on asphalt product samples of several different samples sizes (< 0.5 cm and < 250 µm); bioaccessibility was measured at < 10% for most samples. When asphalt products were mixed with clean sand to mimic soil-like waste, PAHs concentrations and bioaccessibility for most products decreased with decreasing asphalt percentages. 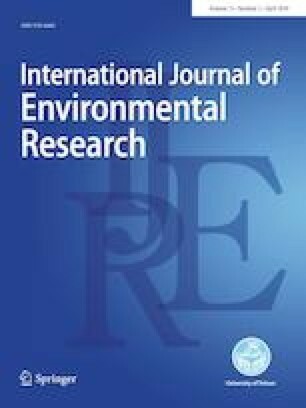 Though PAHs sources for asphalt products are petrogenic, the few detected diagnostic ratios did not indicate a clear petrogenic source for these materials, suggesting that caution be taken when using diagnostic ratios for source apportionment related to these materials. Polycyclic aromatic hydrocarbon (PAH) in asphalt products were analyzed. Asphalt products have been a suspected source of PAH in soil-like wastes. PAH concentrations were found to be low in most asphalt products. Asphalt does not appear to be a significant source of PAH in soil-like wastes. The online version of this article ( https://doi.org/10.1007/s41742-019-00189-6) contains supplementary material, which is available to authorized users. This work was funded by the Construction and Demolition Recycling Association and the Hinkley Center for Solid and Hazardous Waste Management. We thank Dr. Jodie Johnson from the University of Florida Chemistry Department for their instruments and kind help. We also thank Patrick E. Bollinger and his colleagues from Perry Roofing Contractors, the University of Florida Department of Civil and Coastal Engineering, and the ABC Supply Company for providing asphalt products.